Carbohydrates, often called “carbs,” are your body’s primary energy source, and they’re a crucial part of any healthy lifestyle. Carbs should never be totally eliminated, but it is important to understand that not all carbs are alike. 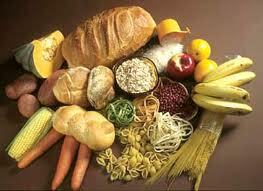 Carbohydrates are broken into two categories: simple (nicknamed “bad”) or complex (nicknamed “good”). This is based on their chemical makeup and what your body does with them. Simple carbohydrates are composed of simple-to-digest, basic sugars and most have little real value for your body (the exception are fruits). The higher in sugar and lower in fiber, the least beneficial the carbohydrate is for you — a good gauge for future reference to figure out how good/bad. Fruits and vegetables are simple carbohydrates — still composed of basic sugars, but they are drastically different from other foods in the category, like cookies and cakes. The fiber in fruits and vegetables changes the way that the body processes their sugars and this slows down their digestion, making them similar to complex carbohydrates. Complex carbohydrates are considered “good” because of the longer series of sugars that make them up and therefore takes the body more time to break down, like whole grains and legumes. They generally have a lower glycemic load, which means that you will get lower amounts of sugars released at a more consistent rate — instead of peaks and valleys —to keep you going throughout the day. This provides your body with a more even amount of energy. You can enjoy simple carbohydrates on occasion, just don’t let them be your primary sources of carbs. It is also better to consume them after you have eaten a meal, That way the food in your stomach will help to slow down the absorption. If you must choose a simple carb, some choices are better than others — a baked potato, white rice, and regular pasta — is better than— chips, cakes, pies, and cookies. 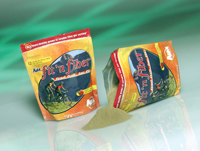 If you are like the average American, you may have trouble consuming enough fiber…A great addition to a healthy lifestyle is adding AIM’s Fit ‘n Fiber. It is a great tasting high fiber product that helps keep the body’s blood sugar more even throughout the day.